Bhutan is an interesting place for people watching. 'Faces of Bhutan' project showcases the interesting life of Bhutanese people engaged in their daily routine. People watching is one of my favorite activities. I love to observe people busy in their daily life. Whenever I travel to a new place, I visit different places like local markets where I can observe people. I usually pick a corner and spend my time observing locals as they engage in different activities. Markets, temples, streets, countryside, parks etc. are some usual places I prefer to visit to observe people. Bhutan turned out to be a very interesting place for people watching. 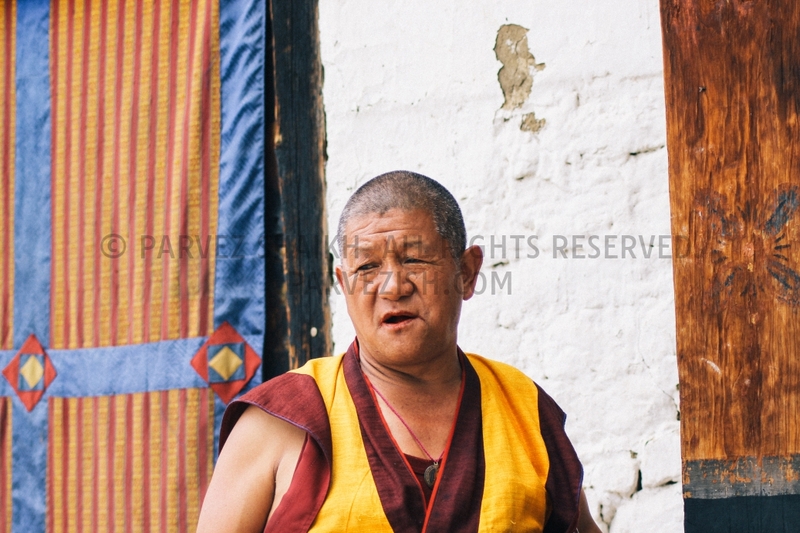 Through my observations, I was able to get a glimpse of the daily life of Bhutanese people. Most interesting people I met were at Buddhist temples. Children, young adults, elders – everyone regularly visit temples to pray. Most elders visit these temples almost everyday. Watching them circling around the temple is something I can never get tired of. At every temple I visited in Bhutan, I saw elders in groups. They would pray together, then sit down and get busy with their discussions. In this first part of Faces of Bhutan series, I would like to share some of my favorite photographs I captured in different parts of Bhutan. 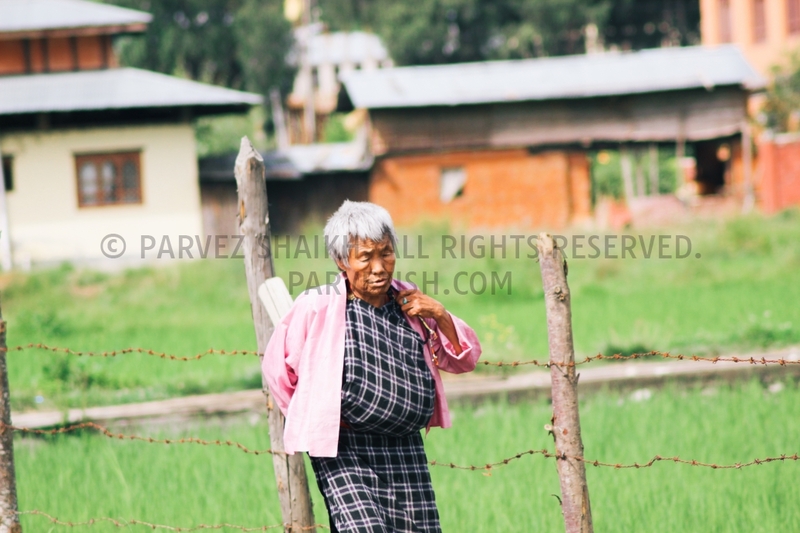 Note: All photographs copyrighted by Parvez Shaikh. Reuse of any of these photos is not permitted without prior arrangements. High resolution copies of these photographs are available for purchase. 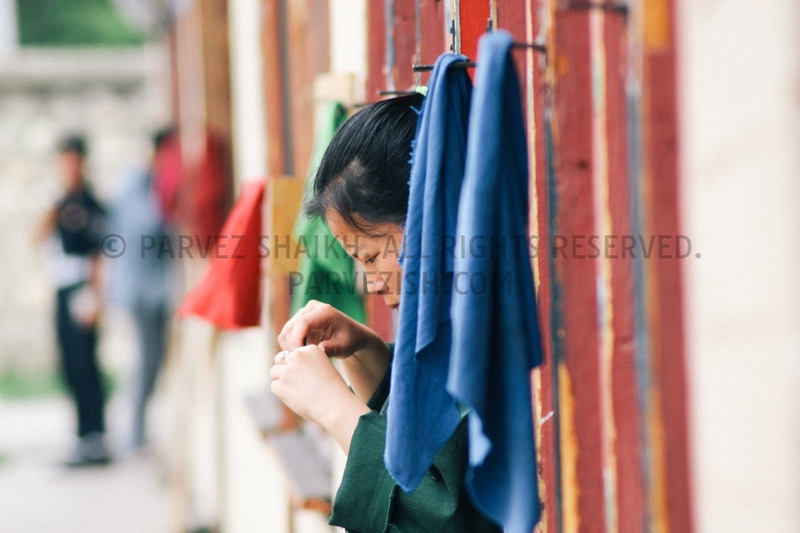 A young Bhutanese girl is busy clipping her nail in Paro market. 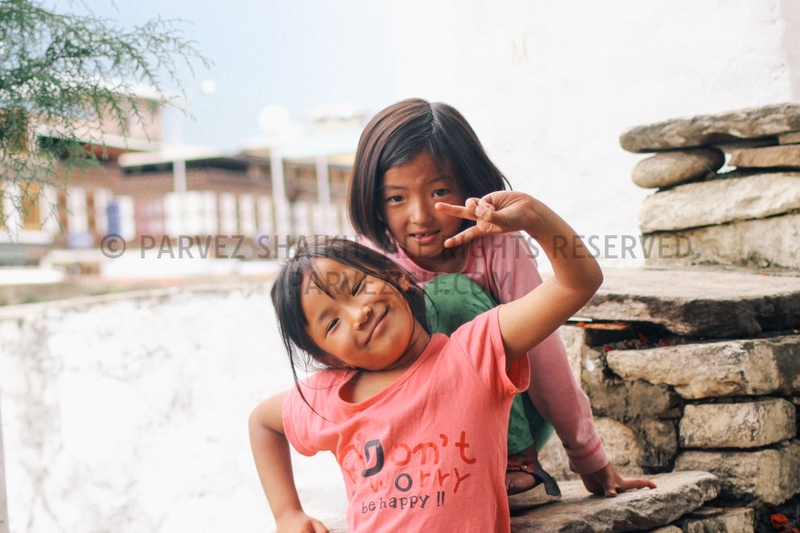 Two Bhutanese children posing for a photograph outside a temple in Paro, Bhutan. 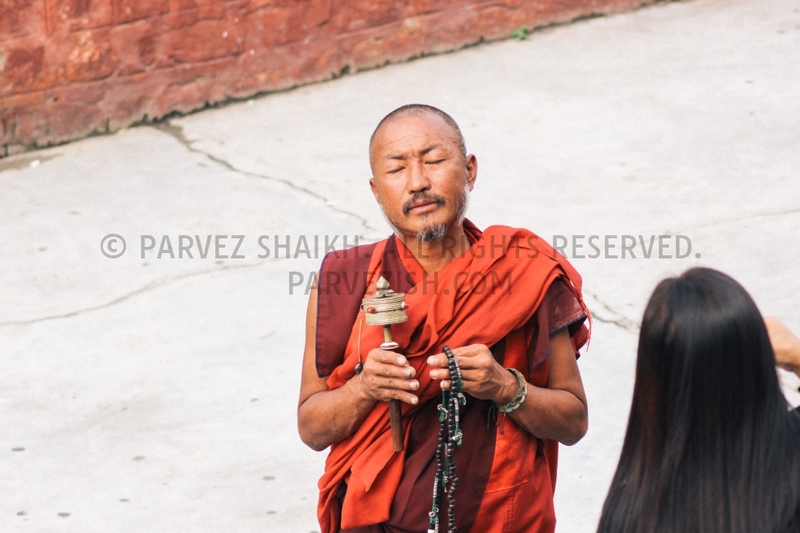 A Buddhist monk outside a temple in Paro, Bhutan. His red lips are just an example of the love Bhutanese people hold for doma aka beetle nuts. He is one of the monks who invited me to have lunch with them. A Buddhist monk is photographed while collecting alms in the town centre of Thimphu – the capital city of Bhutan. A Bhutanese lady is praying by resting her head against a wall of a temple in Thimphu. An elderly Bhutanese woman is photographed in Paro while walking back home. A young Bhutanese girl is playing the perfect host by helping some tourists at a monastery in Thimphu. 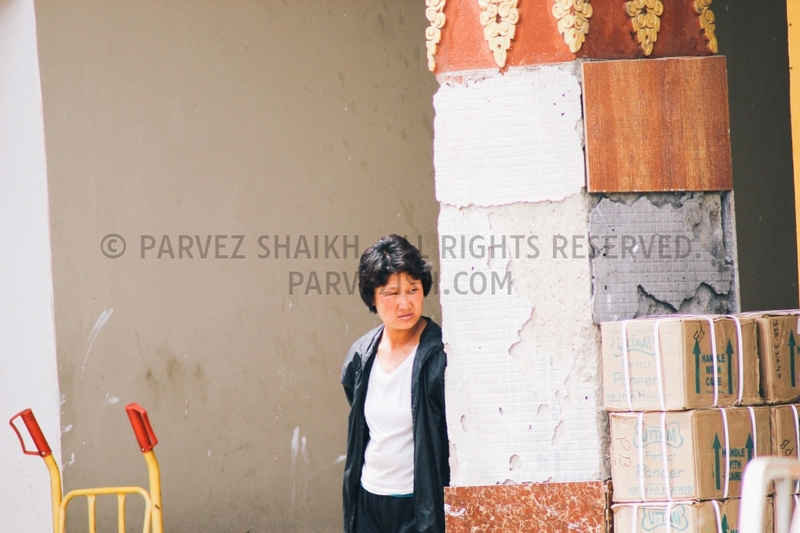 A young lady with short hair is photographed in Paro market. Some Bhutanese workers photographed in a street of Phuntsholing. 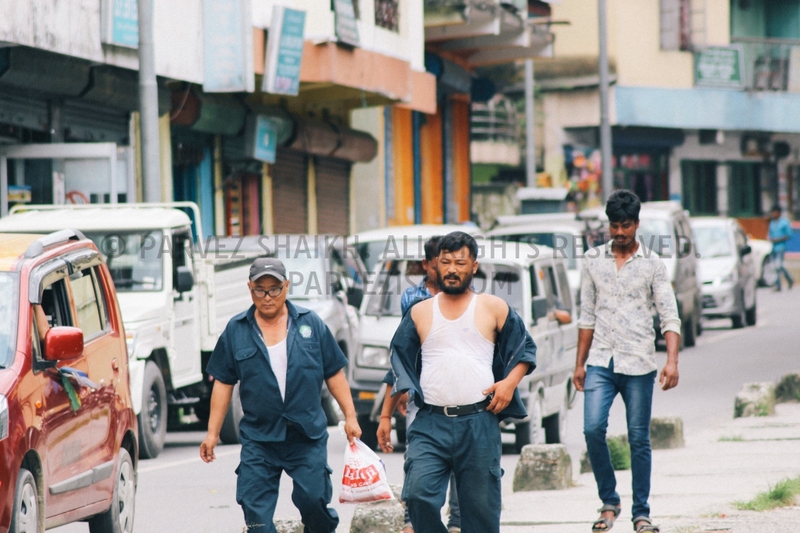 It was a hot day in Phuntsholing and one of these workers had completely unbuttoned his shirt. 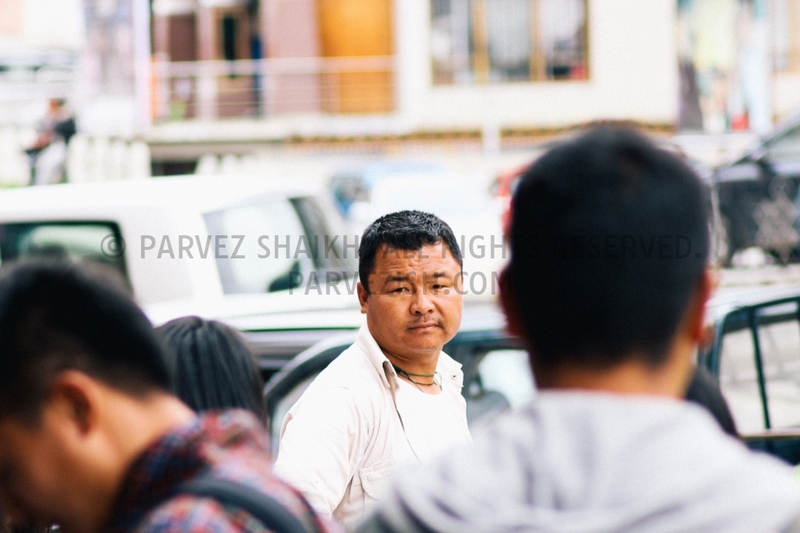 A Bhutanese man is photographed on a busy street of Thimphu.